This Year Is Your Last Year Trailer: Late Night! Late Night – Katherine Newberry (Emma Thompson) – Photo by Emily Aragones/Courtesy of Amazon Studios. When Katherine Newberry – late night TV legend – is told this is her last season, because she’s ‘too old and too white,’ she goes all affirmative action and, lo and behold, Molly shows up in her previously all-male writers room. But is Molly a case of too little, too late? Molly certainly doesn’t think so. Amazon Studios’ Late Night will be in theaters on June 7th. Freeform Acquires The Mindy Project In Syndication! Freeform has acquired all five seasons of The Mindy Project in syndication. The series will make its network debut with a ‘late-night stack’ on Monday, October 3rd (midnight-2 ET) – with a prime time binge on November 2nd starting at 8/7C. Inside Out Breaks $90 Million! It may be the first time that a Disney•Pixar film didn’t open at #1 at the box office, but it still did $90,440,272 – good for the studio’s best non-Toy Story opening ever (beating, along the way, a little movie called Avatar…). Inside Out Is Pixar at Its Best! After commercial hits like Cars, Cars 2, and Monsters University – which did not yield unwavering critical acclaim – it is wonderful to note that Inside Out is a multi-layered, exquisitely rendered film that ranks right up there with WALL-E and UP. The idea for Inside Out is that we are looking at a year in the life of eleven-year old Riley (voiced by Kaitlyn Dias) as seen from inside her mind, where her emotions take on somewhat familiar forms and interact like any group of friends – with love but also lots of ups and downs. Inside Out Clip: Congratulations San Francisco! “Inside Out” is in theaters June 19, 2015. Follow the jump for a quick peek inside the mind of Inside Out’s Riley. Congratulations, San Francisco! 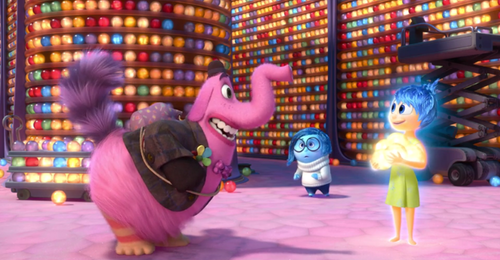 Memorable Clip: Disney•Pixar’s Inside Out! Inside Out delighted its audience at this year’s Cannes Film Festival, where it also received rapturous critical response. Disney•Pixar has released a new clip from the film, Memories, and it is poignant and funny simultaneously. Check it out after the jump. Inside Out premieres on June 19th. 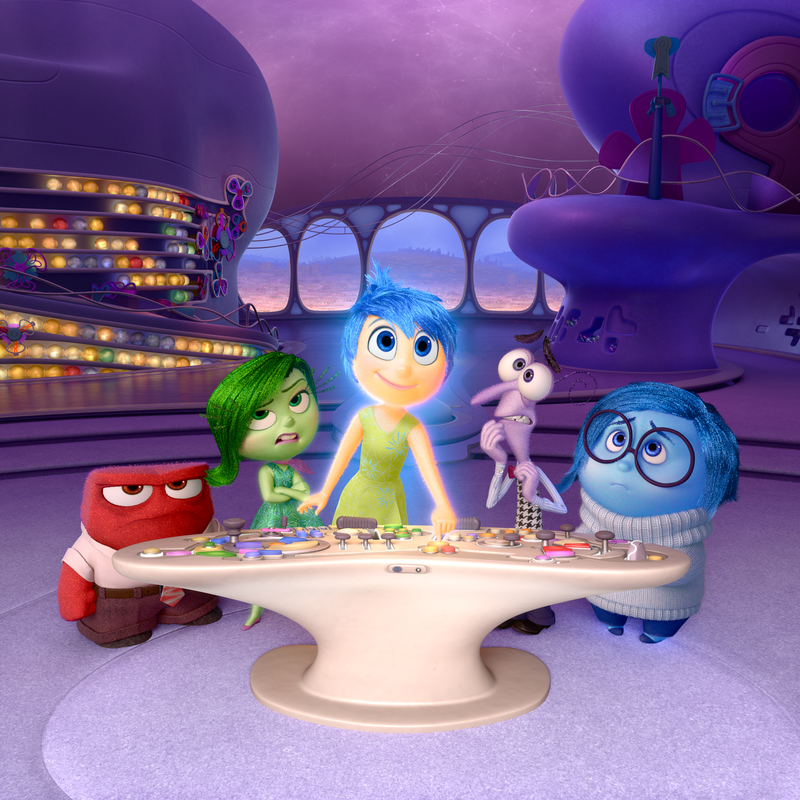 Disney•Pixar’s Inside Out Opens The 2015 Cannes Film Festival! 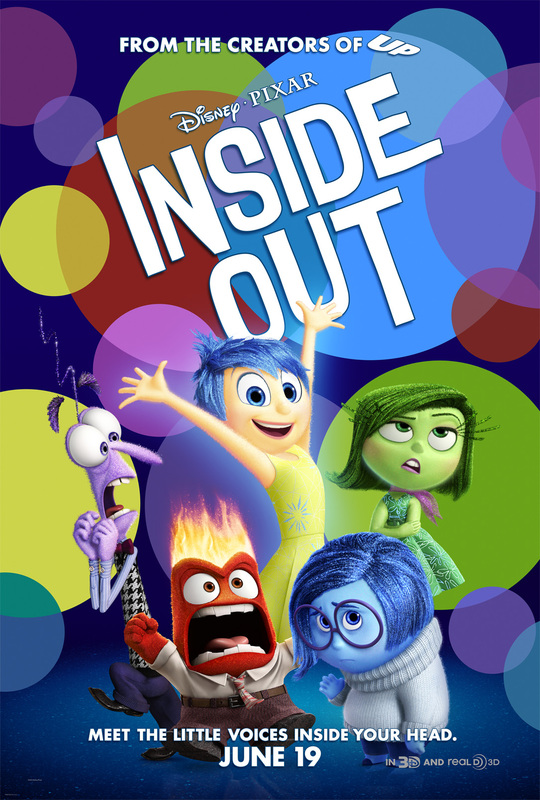 Disney•Pixar’s Inside Out will have its world premiere during the 68th annual Cannes Film Festival. It will be the first animated film ever to be the Festival’s Opening Ceremony film. For more, follow the jump. Kaling Auctions Outfits For Pancreatic Cancer Action Network! Mindy Kaling, of The Mindy Project, will be auctioning of three designer outfits from the series in support of the fight against pancreatic cancer. All proceeds will benefit the Pancreatic Cancer Action Network. Follow the jump for details. Things are tough for Riley – her family has moved to San Francisco and she doesn’t know anyone at school. Her dad is preoccupied with the new job and her mom is still getting things settled in their new home. Small wonder that she’s struggling a bit. Inside Out is the story of Riley’s emotions – Joy, Sadness, Anger, Disgust and Fear – and how they react to this new chapter of her life. Check out the new trailer for Inside Out following the jump. Inside Out will be in theaters on June 19th. Poster: Inside Out (Meet The Little Voices Inside Your Head)! Pixar’s Inside Out – a movie about the emotions that guide ten-year old Riley: Joy (Amy Poelher), Fear (Bill Hader), Anger (Lewis Black), Disgust (Mindy Kaling and Sadness (Phyllis Smith) – has a spiffy new poster. Chec it out after the jump. Inside Out opens on June 19th.